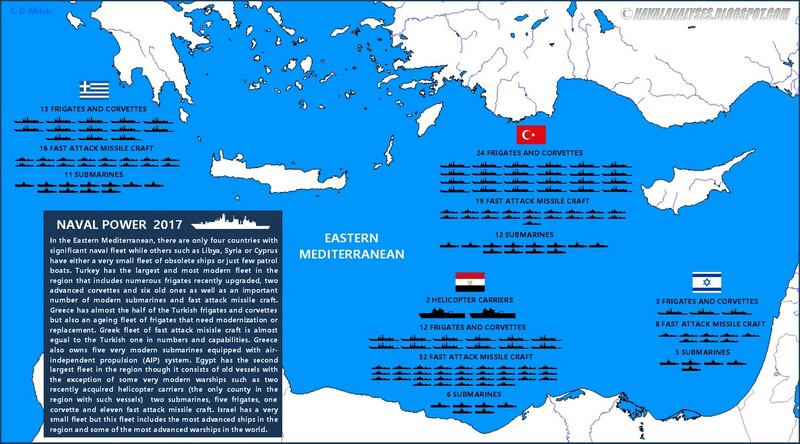 Without doubt, Turkey today has the strongest and most numerous naval forces in the Eastern Mediterranean. 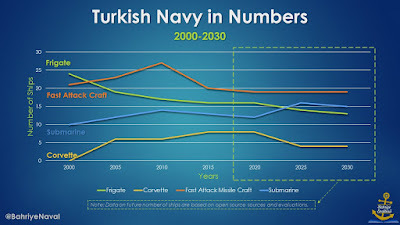 Turkish Navy has more frigates, submarines and fast attack missile boats (Egypt has more FACM but most of them are not serviceable) than any other navy with significant naval fleet in the region such as the Hellenic Navy, Egyptian Navy and Israeli Navy. Not only Turkey has more warships but also those vessels have been modernized or upgraded recently as it will be described thoroughly in the next paragraphs. But Turkey has even greater naval ambitions. 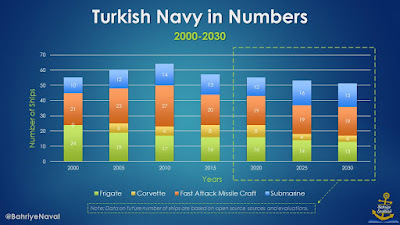 This article will summarize the most important developments in the Turkish Navy force structure and its impressive shipbuilding plans from 2010 with a look toward 2030. It should be mentioned here that when I refer to "upgrade" I mean new electronics - sensors and weapons while "modernization" is either new weapons or new electronics and not both. Naval power in the Eastern Mediterranean in 2017. High resolution image here. 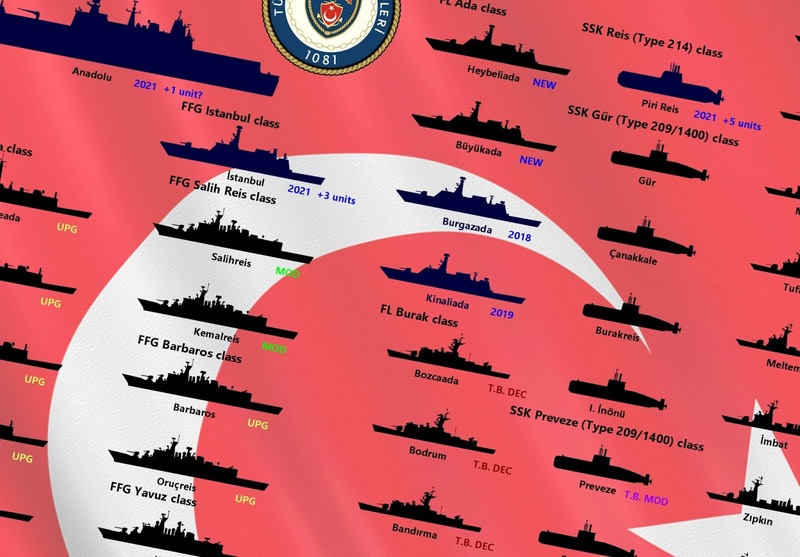 Turkey has upgraded extensively the majority of its main surface combatants. Such vessels are the first four (4) of the total eight (8) Gabya (O.H. Perry) class frigates, that received forward of the existing Mk13 SM-1 SAM launcher an 8-cell Mk41 vertical launcher system (VLS) for total 32 ESSM SAM and a new Thales SMART-S Mk2 3D radar that replaced the AN/SPS-49(V)4 radar. Moreover, their Mk92 STIR Mod 2 fire control system was upgraded to Mod 12 level. It should be mentioned also that before 2010, the ships of the class have received among others upgrades the GENESIS advanced combat management system and the ASIST landing platform system so that they can accommodate the S-70 helicopter. Their Phalanx CIWS also will be upgraded in the near future to Block 1B baseline 2. Other frigates include the two Barbaros class frigates which received one 8-cell Mk41 vertical launcher system (VLS) module for total 32 ESSM SAM, replacing the obsolete Mk 29 Sea Sparrow launcher and a new Thales SMART-S Mk2 3D radar that replaced the old Plessey AWS 9 3D air search radar. It is almost certain that the two ships will receive two Phalanx CIWS each which will replace their three Oerlikon Contraves Sea Zenith 25mm CIWS. Then, Turkey will not be anymore the sole user of this unique system worldwide! The two ships will replace their Combat Management System (CMS) with a GENESIS variant. 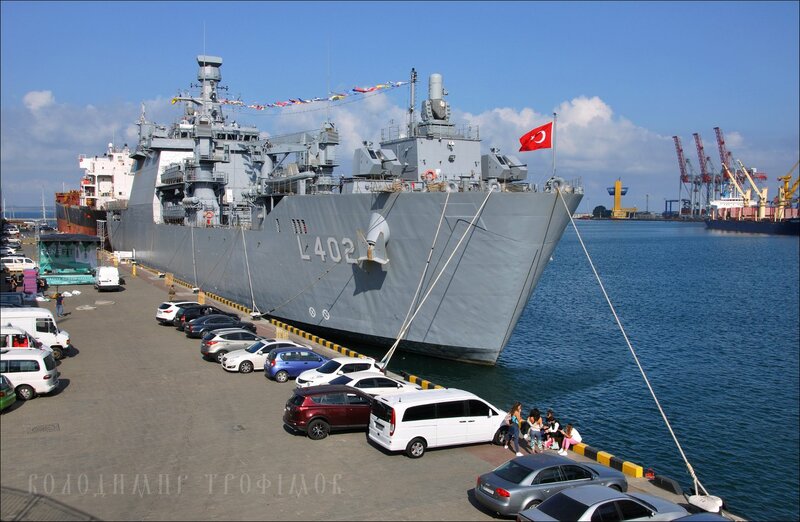 One more ship that received new electronics and weapons is the TCG Osman Gazi LST that received a second GDM-A Twin Mounting naval turret with two Oerlikon KDC 35mm/90cal gun each which together with the already existing GDM-A installed on the bow deck replacing two twin old Bofors 40mm guns. The ship received also a Phalanx CIWS which was installed behind the main mast and will be upgraded to Block 1B baseline 2 in the near future. Two Raytheon SLQ-32(V)2 EW antenna group systems were installed above the pilothouse together with SATCOM antennas. Unfortunately there is no much information about the specific modernization program or any upgrades that took place inside the vessel. You may read more about the ship here. Osman Gazi landing ship/minelayer. For a high resolution image click here. 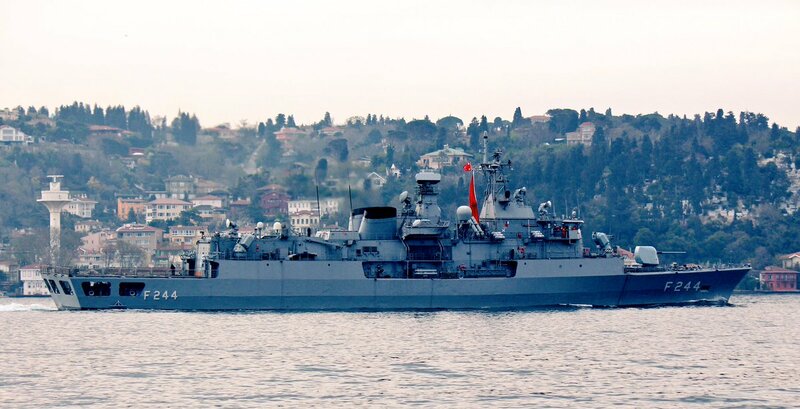 The two Salih Reis frigates, a sub-class of the Barbaros class were modernized by receiving Thales SMART-S Mk2 3D radar that replaced the old Plessey AWS 9 3D air search radar. The two ships are about to receive also two Phalanx CIWS each (and thus they will be upgraded) and a new CMS (GENESIS variant), similarly to their older sisters of the Barbaros class. 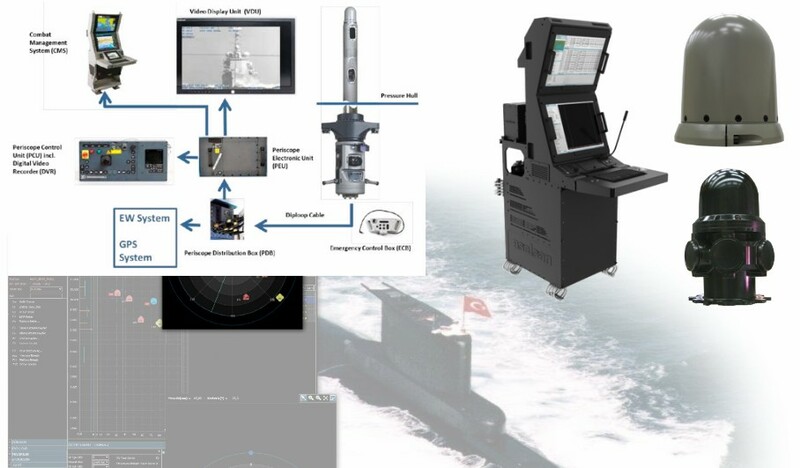 Two Ay class (Type 209/1200) submarines, Doğanay and Dolunay, were partly modernized with the installation of a new attack periscope (SERO 250), new communications suite, installation of a new ESM/ECM system (ARES-2), the modification on four of the torpedo launchers for launching Mk 48 ADCAP Mod6 torpedoes and some other secondary improvements on the inertial navigation system. The two boats will receive also new sonar, a system that perhaps will equip also Yildiray which may perform as a test bed for the indigenous project MILDEN. 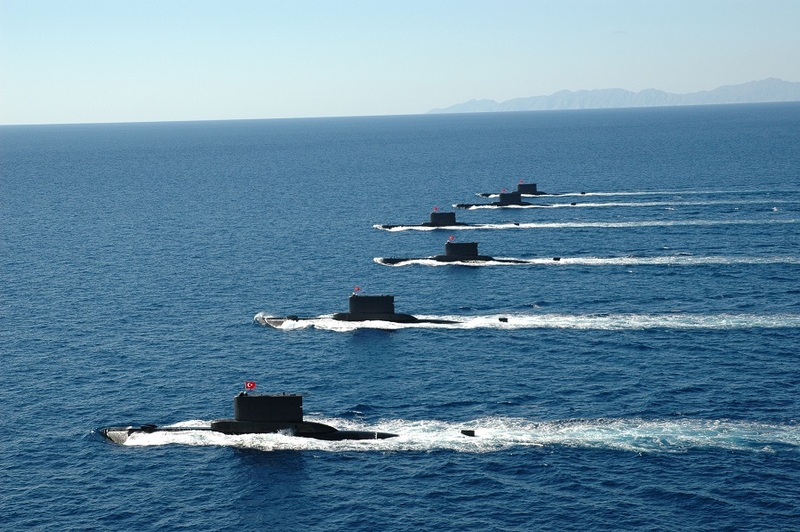 In June of the previous year, the Turkish Undersecretariat for Defence Industries (UDI) issued a request for proposal for the mid-life modernization work on the four (4) Preveze class (Type 209/1400) submarines. The programme, among others, perhaps will include a new combat management system. 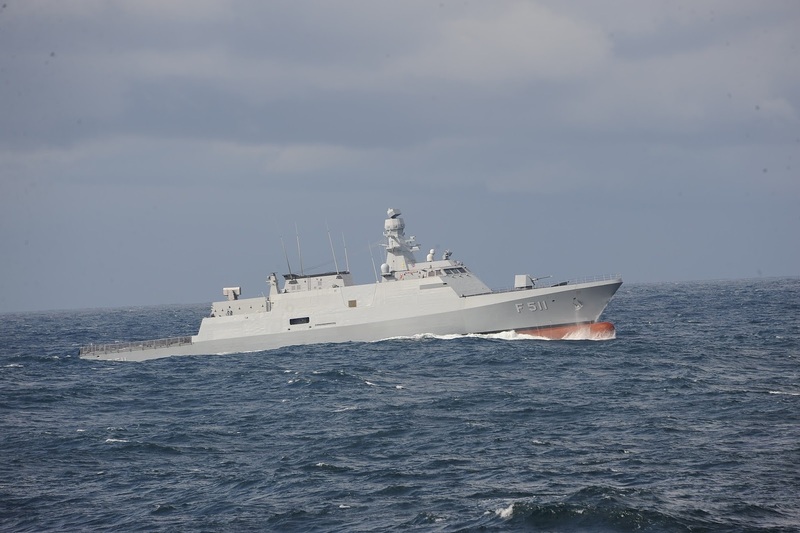 Two Ada class corvettes (MILGEM project) entered service in the Turkish Navy, one vessel in 2011 and one in 2013. This ship is one of the most beautiful and advanced warships in its category worldwide. 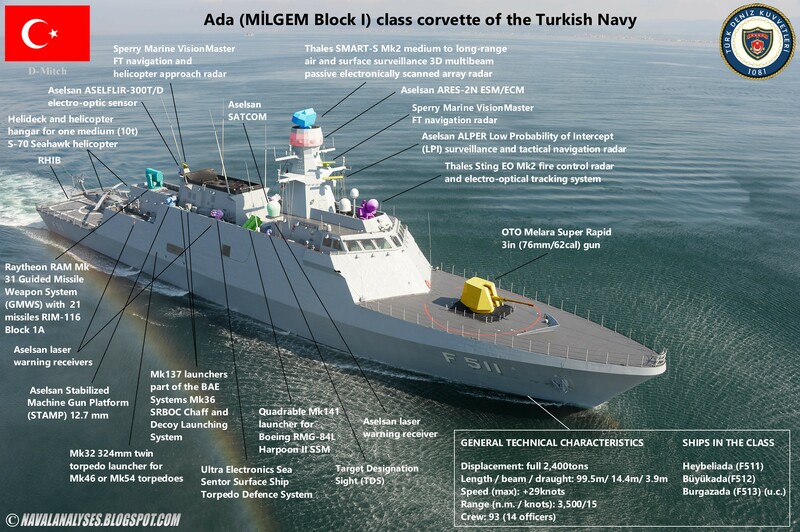 The MILGEM project, from the Turkish words Milli Gemi (National Ship), is a Turkish national warship program with the aim to design and build locally a fleet of hi-tech stealth multipurpose corvettes and frigates that will replace older ships which are currently in service. Through this ambitious program, Turkey seeks to improve national military shipbuilding capacity and skills and ultimately to achieve independence from foreign weapon producers, designers and manufacturers. More than 50 local companies, including the largest Turkish defense firms such as Aselsan, Havelsan and RMK Marine, play a significant role in the MILGEM project, gaining invaluable experience in warship design and construction. The programme initially included the construction of 12 ships in two batches (blocks, due to important differences among the batches). 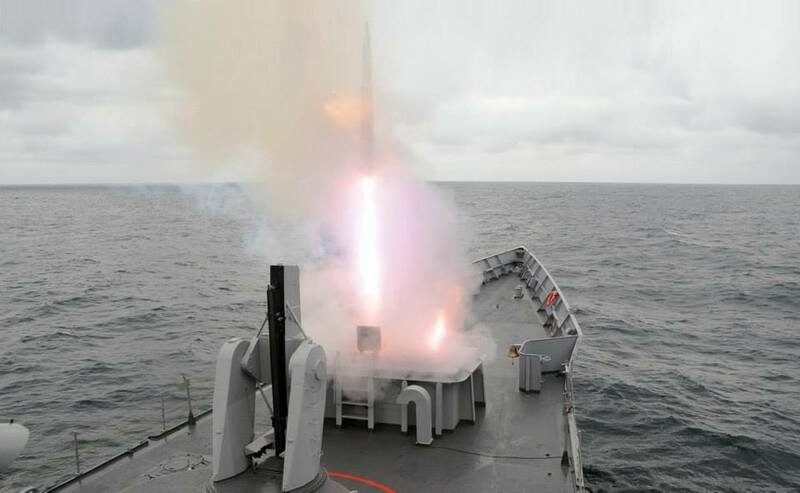 The first batch would have included eight (8) multipurpose corvettes the so-called MILGEM Block I (Ada; island in Turkish) class while the last four (4) would be of the TF-100 frigates equipped with vertical-launching system (VLS) for surface-to-air (SAM) missiles. 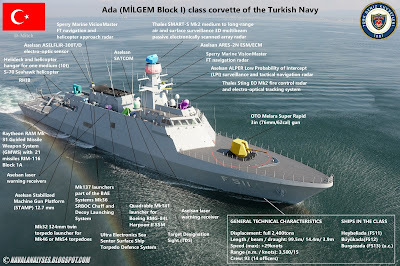 This plan changed recently as the first batch will include only four corvettes of the Ada class, while all the rest ships (4 or 8) will be designated as MILGEM Block II. Read a full analysis about the class here. 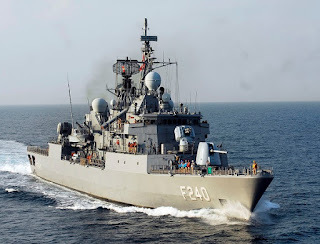 TCG Tuzla, lead ship of the class. 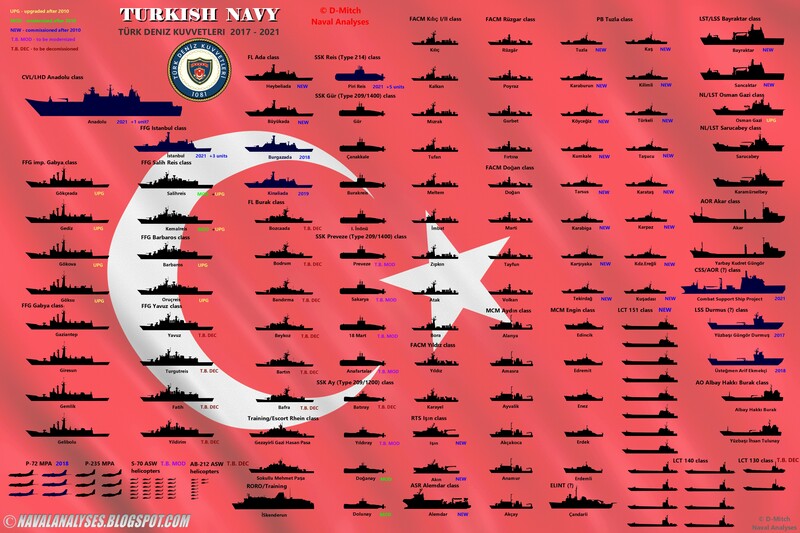 The impressive number of 16 patrol boats of the Tuzla class, from 2011 till 2016, have joined the Turkish naval forces. 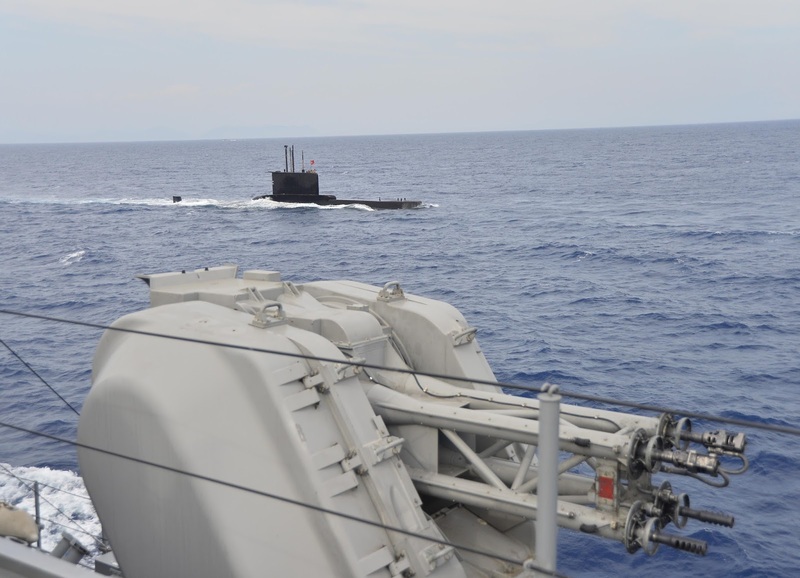 Their main purpose is to conduct patrol, security and anti-submarine warfare (ASW) duties in and around important harbors, bases and at their approaches. The project is a first for the Turkish Navy and the Turkish military shipbuilding industry as there is a 67.5% domestic production percentage compared with 65% for the MILGEM. 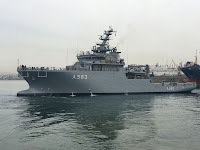 The boats of the class except the guns they carry, they are also equipped with racks for depth charges and until today the first batch (four vessels) of of the total four batches, with a Roketsan ASW rocket launcher which is used in combination with the bow sonar that equips the boats. 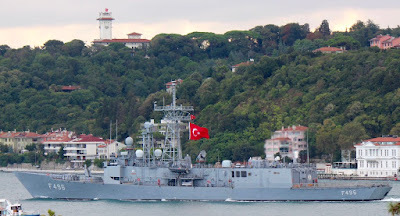 TCG Tekirdağ, 3rd boat of the 2nd Batch. Notice the absence of the aft ASW launcher. 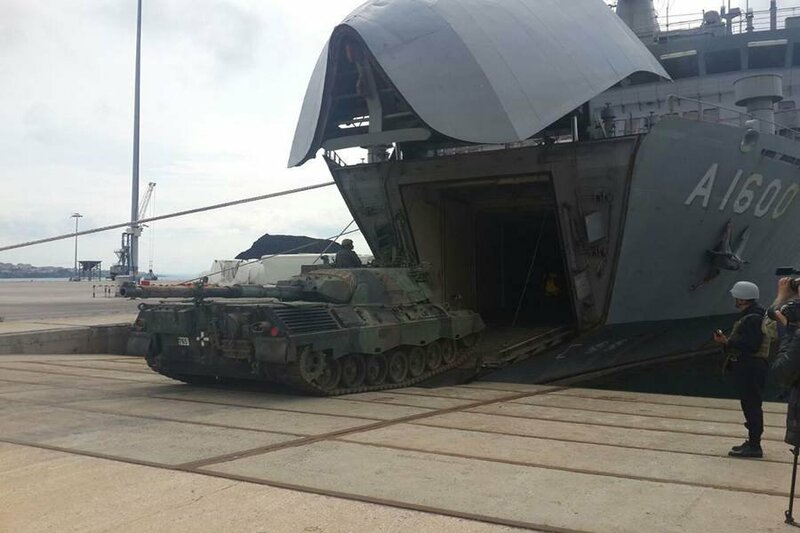 Turkey received just recently the first of the two Bayraktar class Landing Ship Tanks (LSTs) which were built for the Turkish Navy by Anadolu Deniz Insaat Kizaklari Sanayi ve Ticaret (ANADOLU Shipyard). The LSTs are primarily intended for amphibious missions and transportation of troops and equipment, while their secondary missions include humanitarian aid, disaster relief, medical assistance and transportation. The ships of the class will also serve as flagships and logistic support vessels. 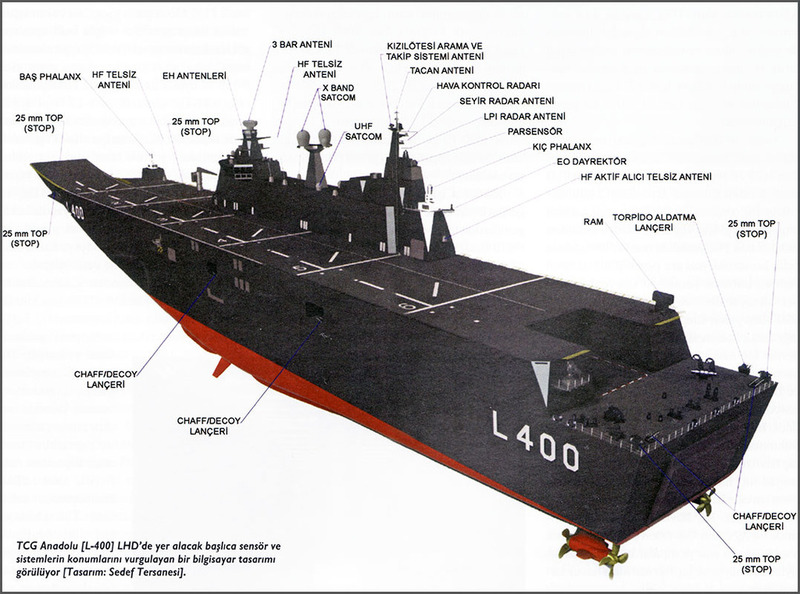 The second LST, TCG Sancaktar, is scheduled to be delivered in October 2017. The LST can operate seamlessly at Sea State-5 conditions and can also be operated at Sea State-6 or higher, with limitations. Additionally it will support limitless helicopter operations at Sea State-4 conditions. The load carrying capacity is 1,180t, including a mix of vehicles or cargo on open decks and specifically they are capable of transporting up to 18 tanks. 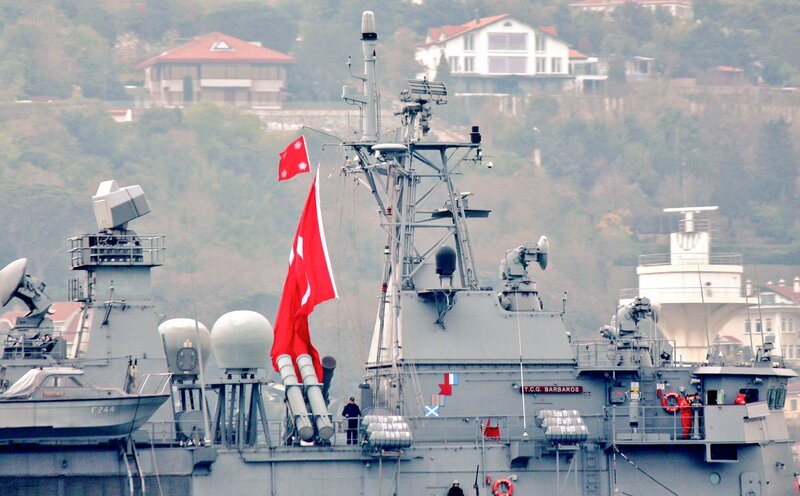 The Turkish ships, except the modern electronics and sensors, carry also a heavy armament that includes two Leonardo 40mm Fast Forty single naval gun mounts, two Phalanx CIWS, and two machine guns on remotely controlled stabilized mounts. They are also protected by two Ultra Electronics Sea Sentor Surface Ship Torpedo Defence (SSTD) systems and four Mk 36 decoy launchers. The class is analyzed in detail here. Except the two LSTs, Turkey procured eight (8) locally designed and built 151 class Landing Craft Tank (LCTs). These LCTs can carry 250 troops, or 320 tons of cargo. Turkey received also one Alemdar class (TCG Alemdar) submarine rescue mother ship (MOSHIP) in 2017, designed to perform sub sea and surface search and rescue missions in various sea conditions. Her main task is to rescue submarines that are unable to resurface themselves. She is able to provide life support to the stranded crew of a distressed submarine up to 600 meters depth. She has a large flight deck and she carries remotely operated underwater vehicles (ROV), atmospheric diving suits and other necessary equipment. 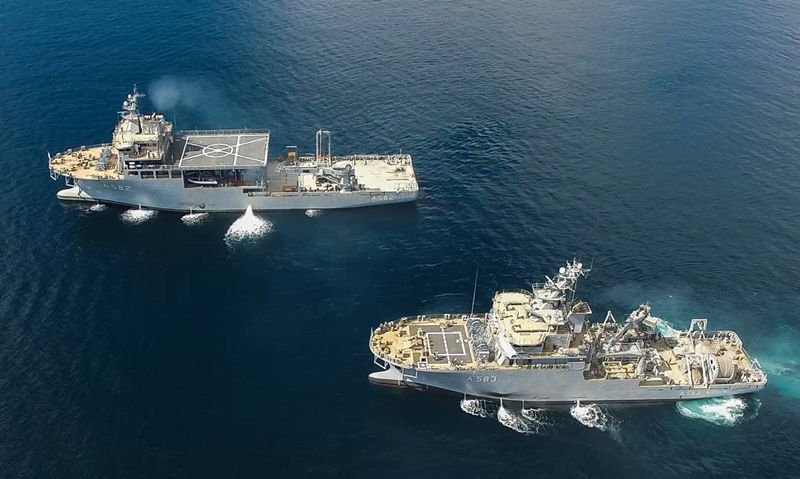 Besides MOSHIP, the Turkish Navy took delivery of two Işın class rescue and towing ships (RATSIP) which are capable to rescue during highseas at/in sea as well. Rescue and Towing Ships are able to perform surface ship salvage and towing activities and thus to play a support role in submarine rescue operation, a role for target ship in exercise and fire extinguishing role at sea. The overall aim of the two projects is to provide an effective and available national based submarine rescue capability with minimum life cycle cost and inter-operable with NATO assets. 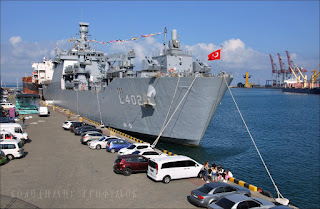 Old vessels such as the first MEKO frigates, the four ships of the Yavuz class that were commissioned between 1987 – 1989, will be replaced by the new Istanbul class or else I-class frigates, known also as MILGEM-G or else MILGEM Block II. 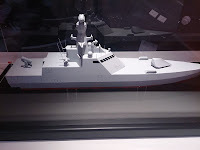 In 2014, the head of naval projects for SSM, said that a request for proposals (RfP) for the Batch II (from ship 5) corvettes was expected to be issued by the end of the year. At the same time he said that work on the previously planned TF-100 project for a light frigate to replace the Yavuz (MEKO 200TN Track I) class frigates (4 in service) had been stopped as "this role will now be covered by the Batch II MILGEM ". 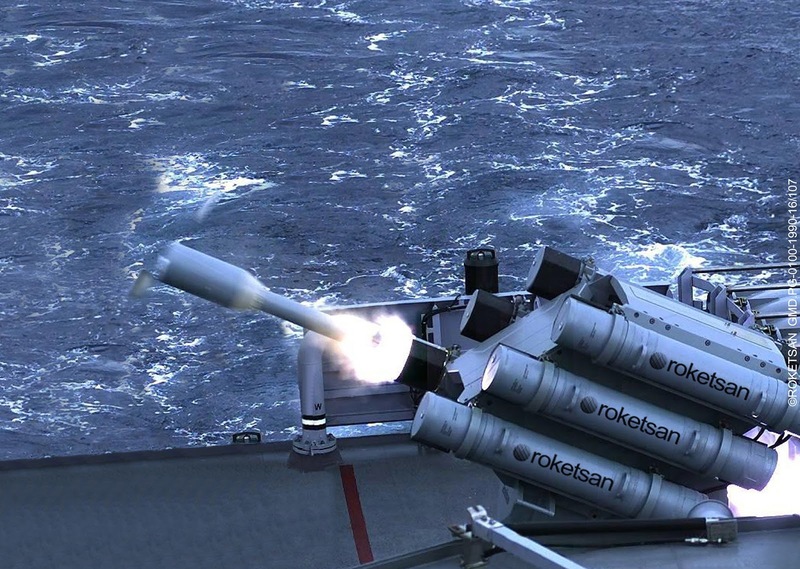 The new ships will have an increased length of about 10m and they will include in their equipment a) two 8-cell Mk41 VLS for Evolved Sea Sparrow Missiles (ESSM) and perhaps SM-2 SAM or/and VL-ASROC, b) Phalanx CIWS instead of RAM, c) two more quadruple SSM launchers than the previous block (total 16! ), d) perhaps 25mm RWS/guns such as STOP (instead of STAMP), e) further combat system upgrades, f) new anti-torpedo system and g) diesel engines. 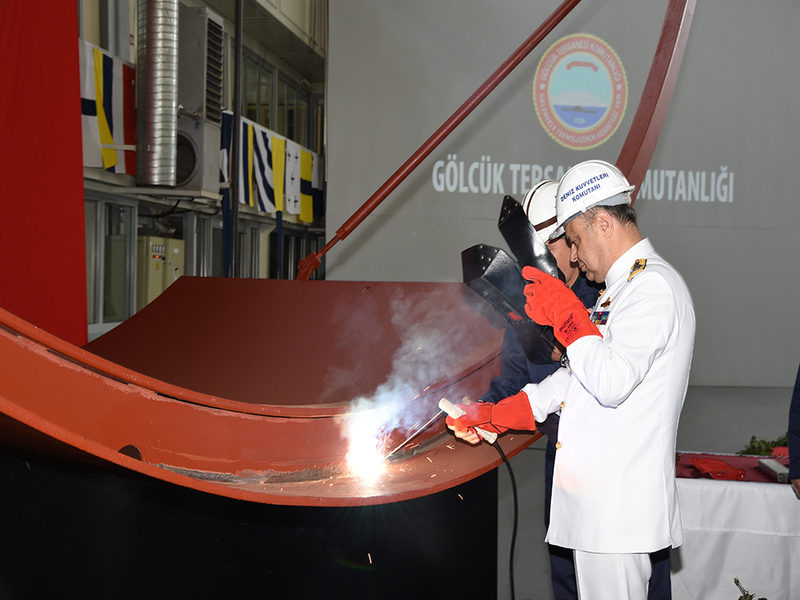 The first ship and nameship of the class, TCG Istanbul, was laid down on 19 January 2017 and will have entered service by 2021. The fifth and largest modern warship to be both indigenously designed and built in Turkey, it is claimed that 65% of its systems will be of indigenous manufacture. 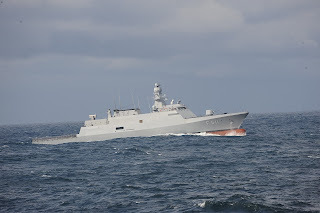 Two additional Ada class corvettes (MILGEM Block I), if Paksitan will bot buy them, will join the Turkish Navy, TCG Burgazada in 2018 and TCG Kinaliada in 2019. The ships of the MILGEM Block I will replace all six D'Estienne d'Orves-class/Burak class (or else type A69) corvettes which were entered in service in late ‘70s with the French Navy, not in a one-to-one basis though. On July 2, 2009, a contract was signed with the Howaldtswerke-Deutsche Werft GmbH (HDW), Kiel, a company of ThyssenKrupp Technologies, and MarineForce International LLP (MFI), London, for the delivery of six (6) material packages for the construction of equal number 1,800-ton Type 214 submarines to Turkey. The value of the contract is estimated at 2,5 billion €. The submarines will be built in Gölcük Naval Shipyard where 11 submarines of Type 209, were previously built. The signing of the contract was the end of a long series of bureaucratic procedures that started in 2006. In all previous submarine productions projects, Turkish input was limited. But in the Type 214 production, many Turkish defense companies will supply their own systems. 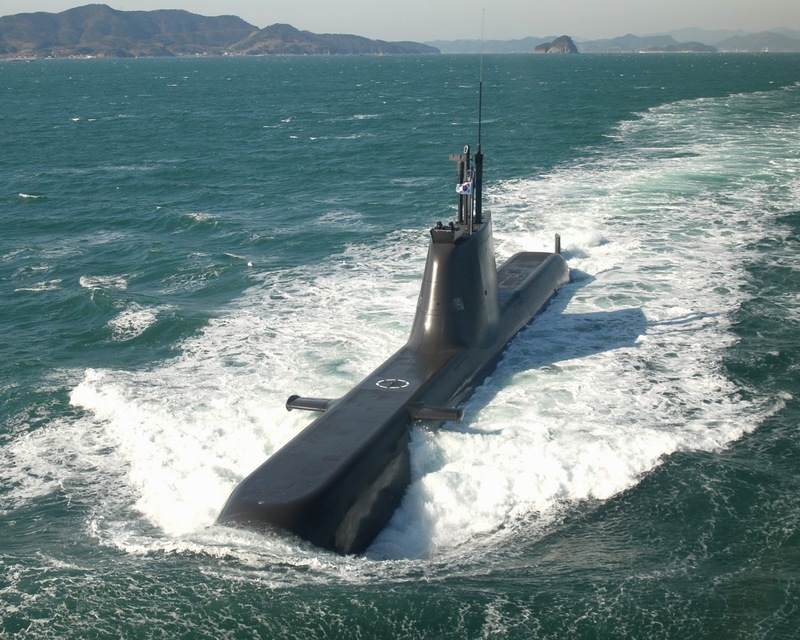 The construction of the first submarine, TCG Pirireis, was officially started on 10th October 2015, 6 years after signing of the contract. The first Reis class submarine is expected to be commissioned by 2021. 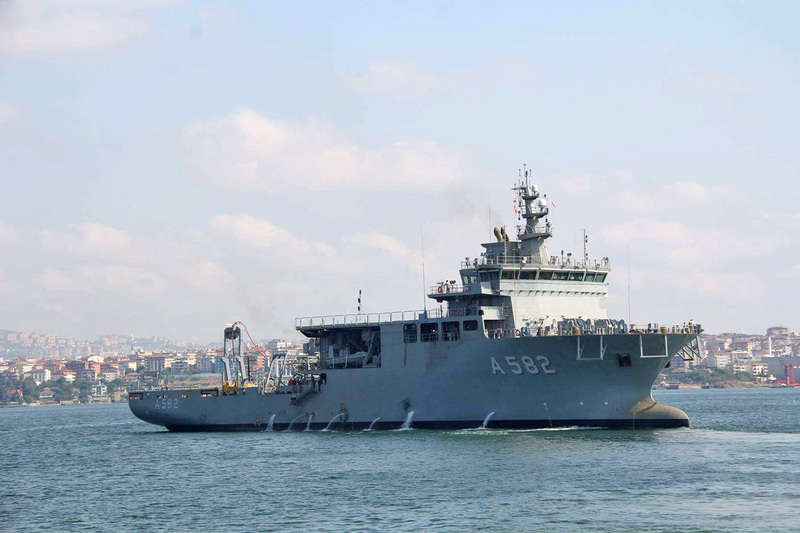 Turkey is about to receive two logistic support vessels (LSS). The name of the class is still unknown. The construction of the first ship, TCG Yüzbaşı Güngör Durmuş, was started in 2015 and scheduled for commissioning in 2017. 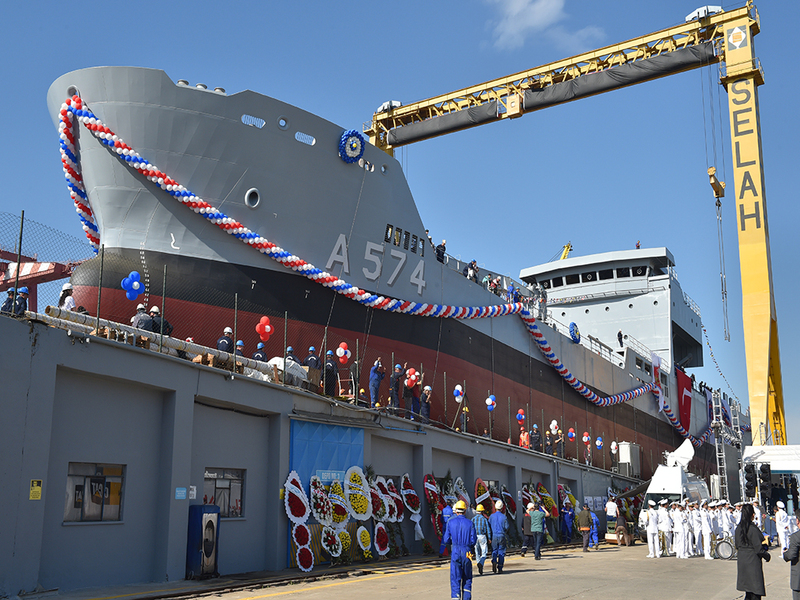 The second ship, TCG Üsteğmen Arif Ekmekçi, was launched just recently on 8 July 2017 and will join the Turkish Navy in 2018. Each ship will carry 4,000 tons of fuel for warships, 500 tons of fuel for helicopters and 330 tons of fresh water. They will have a medical facility, capable of performing surgeries. These ships will not have a helicopter hangar, but will have a large landing pad, suitable for heavy army helicopters. And the most important purchase for Turkey is left for the end of this section. Turkey will acquire an aircraft carrier! 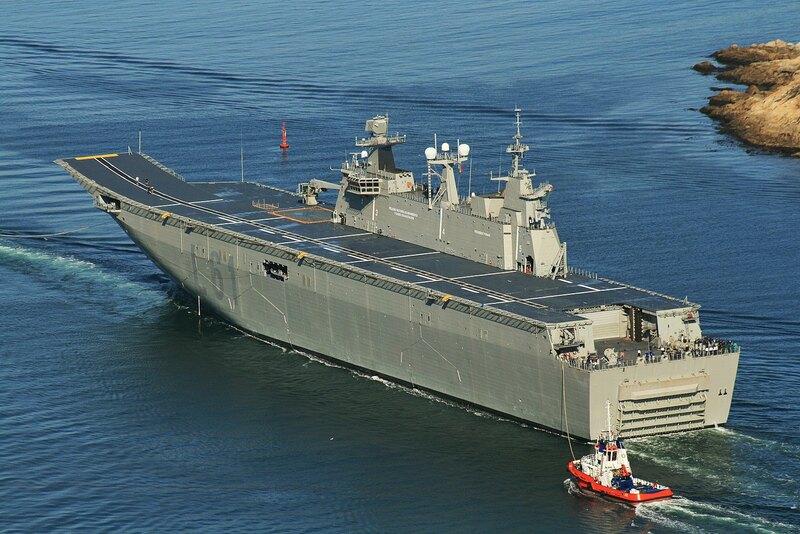 In 2015, during the IDEF 2015, Turkey signed a contract with Sedef-Navantia consortium for the acquisition of one Landing Helicopter Dock (LHD) similar to the Spanish Navy's Juan Carlos I class LHD (Australia purchased also two ships, the Canberra class). 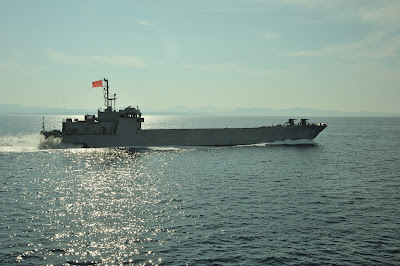 The 27,000-ton vessel, TCG Anadolu, is intended to meet the various needs and requirements of the Turkish Armed Forces, such as sustaining long-endurance, long-distance military combat or humanitarian relief operations; while acting as a command center and flagship for the Turkish Navy. The ship will be well protected with Phalanx CIWS (perhaps also one RAM) and 25mm RWS, and will be capable of operating the F-35B STOVL stealth multirole combat aircraft (Turkey will acquire about 20 of them and 100 F-35A CTOL) and thus acting as a light aircraft carrier and not only as an amphibious assault ship. The Turkish version of the LHD will be capable of operating up to 12 F-35Bs and 12 helicopters in "light aircraft carrier" configuration plus six (6) more helicopters on the flight deck. It will have a 5,440m² flight deck and a 990m² aviation hangar which can accommodate either 12 medium size helicopters or 8 CH-47F Chinook heavy-lift helicopters though when the aviation hangar and the light cargo garage are unified, the ship can carry up to 25 medium size helicopters. 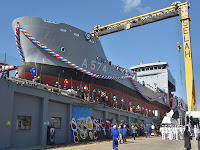 Additionally, the ship will have a 1,880m² light cargo garage for TEU containers and 27 Amphibious Assault Vehicles (AAV); a 1,165m² dock which can host four Landing Craft Mechanized (LCM) or two Landing Craft Air Cushion (LCAC), or two Landing Craft Vehicle Personnel (LCVP); and a 1,410m² garage for heavy loads, which can host 29 Main Battle Tanks (MBT), Amphibious Assault Vehicles and TEU containers. It is worth of mention that the estimated cost of the ship according to the final specifications is $1 billion! This project has become the most expensive defense project to be attempted in Turkey. While some analysts say Turkey needs a carrier like this, some regard the project as an expensive expression of prestige and grandeur that far exceeds the country’s limits. One thing is for sure: Turkey builds a powerful Navy! The construction works began on 30 April 2016 at the shipyard of Sedef Shipbuilding Inc. in Istanbul and is expected to be completed in 2021 but this might be shortened. In February 20117, Turkish shipbuilder SEDEF told Jane's that the Turkish Navy should have its new LHD two years earlier than originally expected and confirmed that the company is currently in negotiations to build a second LHD! 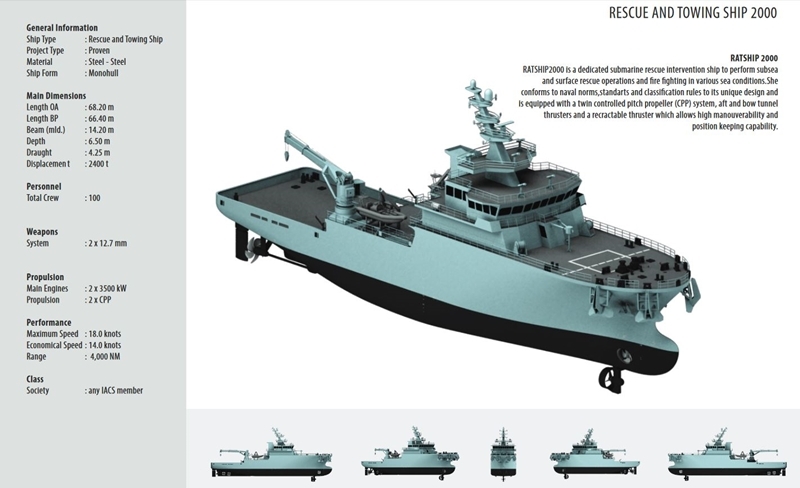 SEDEF's defence industry manager Selim Bugdanoglu told Jane's that at the moment a formal tender for the second vessel "is planned for around the date of launch for first-in-class vessel TCG Anadolu", which is currently set for January 2019. When completed, the ship will be definitely the largest warship of Turkish Navy and the largest in its history surpassing even the 25,000-ton battlecruiser Yavûz (former SMS Goeben)! Providing the Turkish Navy with blue-water capabilities, Turkey’s new LHD is game-changer in the Eastern Mediterranean. The main mission profile of the new LHD is power projection to any theater of operation. This is definitely a major step in altering (even more) the naval balance in the Eastern Mediterranean by contracting the construction of a multi-purpose amphibious assault ship and creating a carrier battle group when the new AAW frigates join the fleet. Cutaway of TCG Anadolu. Photo by Yusuf Akbaba‏ (@ssysfakb) on Twitter. The Combat Support Ship project has been commenced in order Turkey to support deployed national and multinational task forces in all seas around the world. The main missions of Combat Support Ship are administrative and logistic support and under this scope provide command and control support. In addition, the ship will support amphibious operations, peace support operations and humanitarian aid operations. Design activities have already completed in İstanbul Naval Shipyard. The preparations for tender have started by SSM. Afterwards, construction work will begin by the company that will be selected by the Turkish Defence Executive Committee. The new tanker/combat support ship is expected to be similar to the Turkish-designed fleet tanker built for Pakistani Navy. 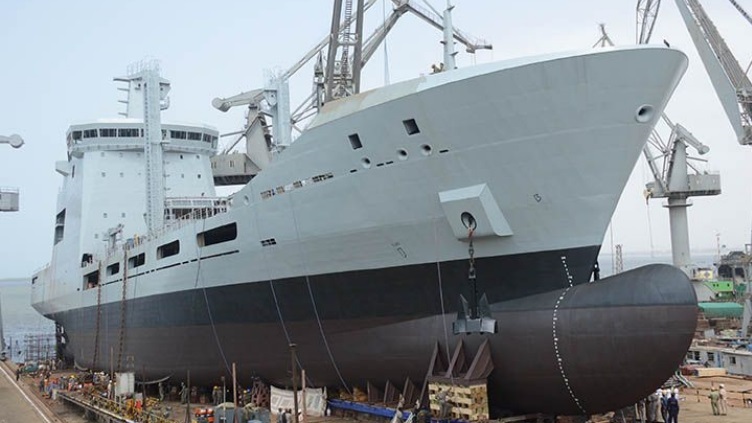 The fleet tanker project is a collaboration between Pakistan's Ministry of Defence Production and Turkish technology and systems engineering house Savunma Teknolojileri Mühendislik ve Ticaret (STM). The new17,000-ton Pakistan Navy Fleet Tanker is the biggest one-time warship export from Turkey's defense industry. The double hulled tanker is able to make 20 knots and supply three ships simultaneously while the helicopter she carries performs vertical replenishment. 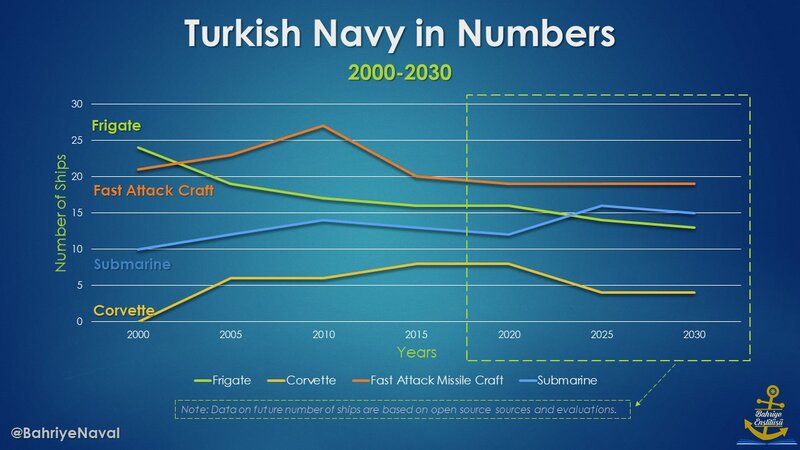 The following infographic illustrates the Turkish Navy fleet by the end of 2017 (tugboats and secondary auxiliaries are excluded from the graph), it reports which ships are new / upgraded / modernized , which will be retired or modernized and it includes also the vessels that will have joined the fleet by 2021. 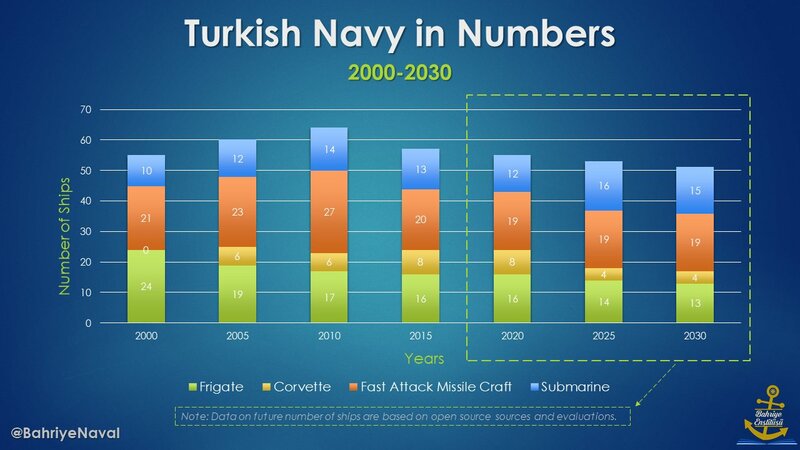 The current state of the Turkish Navy and the new ships will be added by 2021. High resolution image here. 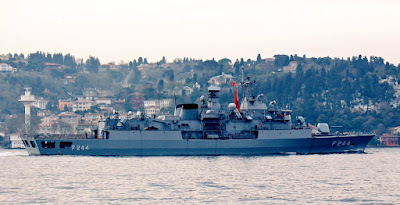 As it was also mentioned in the previous paragraphs, the four (4) Ada class corvettes will replace gradually the six (6) old Burak class corvettes while the four (4) new Istanbul class frigates will replace the first four (4) MEKO class frigates, the ships of the Yavuz class. The sole submarine that will not be modernized, the TCG Batiray, will be gradually retired and replaced by the first of the Reis class submarines when that enters service. The remaining two Edic class LCT will be also phased out. It is unknown what will happen to the old Rüzgar and Doğan class FACM but it is more likely that they will remain in service until the new FACM enters service. All the AB212 helicopters will have been retired till the end of 2018 which perhaps will be replaced by new S-70 helicopters. 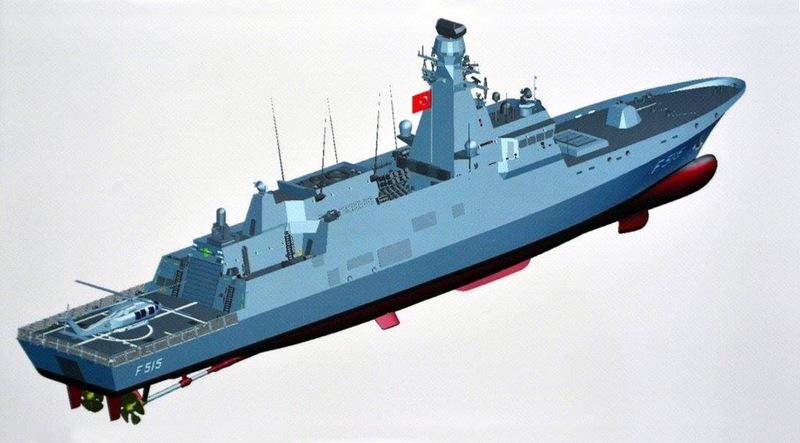 Turkey plans to build at least four (4) anti-aircraft warfare (AAW) frigates under the designation name TF-2000, that will replace the four (4) non-upgraded Gabya class frigates. 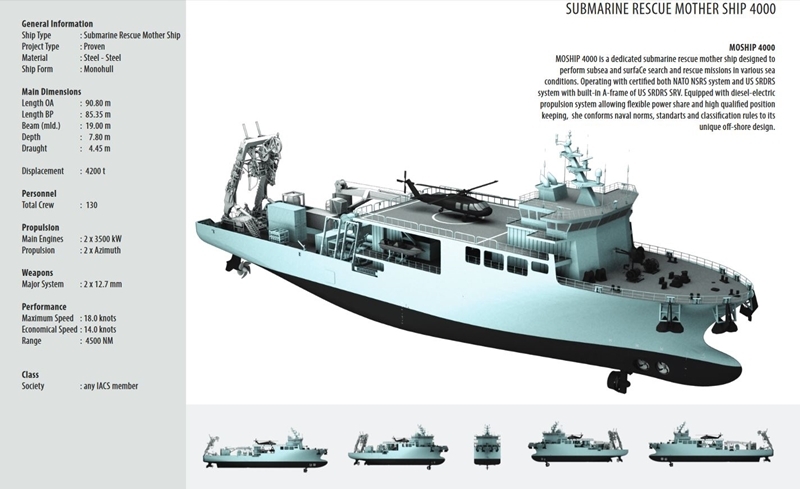 The ships of the class will be equipped with a multi-function Phased Array Radar and they will carry a minimum 32 VLS for SM-2 SAM and ESSM SAM, maybe VL-ASROC, two helicopters, a 127 mm gun, 8-16 canissters for a new type of anti-ship missiles and torpedo launchers. The MILGEM project will reach 12 ships, with the 3rd batch either to be MILGEM-G or a variant (MILGEM Block III) with increased capabilities. 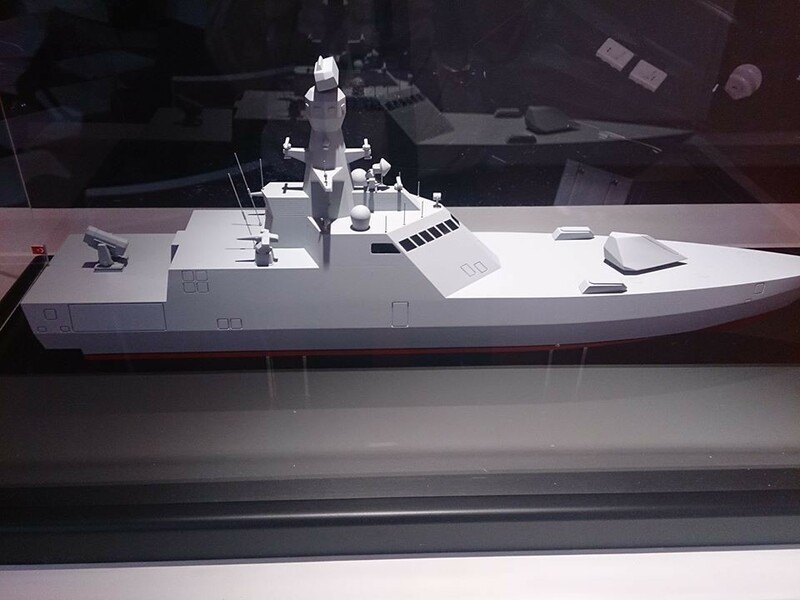 The old Dogan and Ruzgar class FACM will be replaced by a new FACM under the New Generation Turkish Type Attack Craft Project that will produce 4 + 6 vessels. There is also the New Generation Fast Patrol Boat Project for 8 new patrol boats. 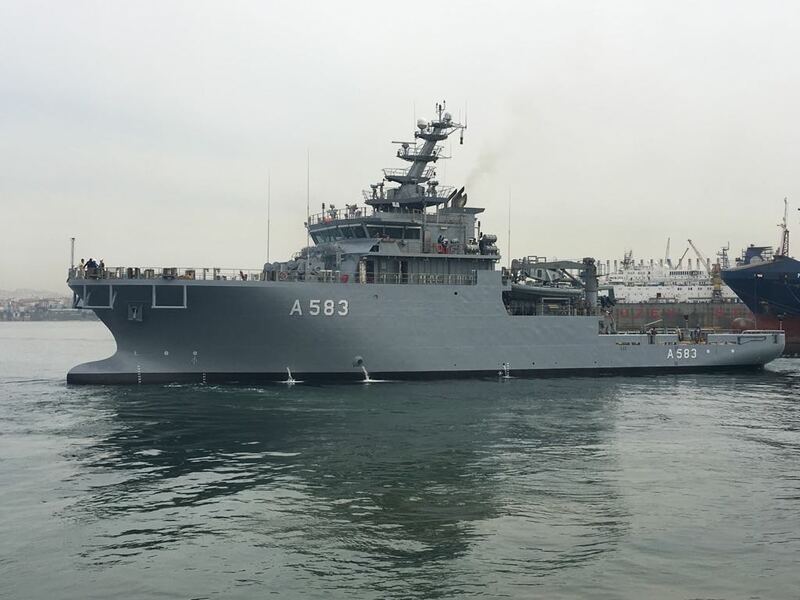 In the early 2020s perhaps Turkey will consider new projects to replace the two (2) Sarucabey class LST, the old training vessels, the old Engin class mine-hunters and also to acquire an ELINT vessel. I would like to express my sincere thank to Arda Mevlutoglu (@orko_8) for his insights and corrections, Cem Devrim Yaylalı for all the information and photos I found about the Turkish Navy ships and future Turkish naval projects on his outstanding Bosphorus Naval News website, Yörük Işık (@YorukIsik) for his excellent photos and last but not least the team of e-Amyna for the information I could gather on their Military Balance (Naval Power) project regarding the current state of the Turkish Navy between Greece and Turkey as well as the Ay class submarines modernization program. You're welcome! Thanks for the support! Thank you Jeremy, thank you! Great work! This page will be an important reference to learn about Turkish Navy's future. Thank you! I have added also your two tables giving the proper credits to your page. We will keep in touch. Thanks for the article, perfect and very detailed job! Just a minor correction; Upgraded gabya class ships with Smart S Mk2 3D and 8 cell Mk-41 VLS are F-491 Giresun, F-495 Gediz, F-496 Gökova, F-497 Göksu, not last four ships. Thank you very much for the correction and your kind words.I fixed it! 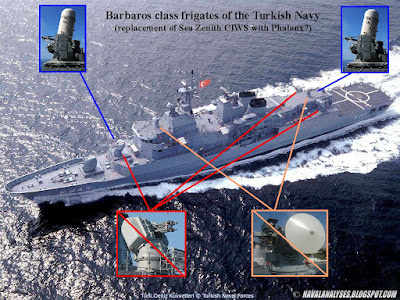 Turkish Surface Combatants will use the ATMACA anti-ship missiles in lieu of the Harpoon. The ATMACA is an amalgamation of the Exocet and Harpoon. Turkish Seahawks will use the TEMREM missiles in lieu of Hellfire. There will also be several new Turkish torpedo systems. Turkey is also negotiating for the purchase of HMS Ocean from the UK. The Turkish President has also announced plans to acquire nuclear propelled Carrier after 2030. Rolls-Royce and Turkey were discussing micro-nuclear reactors. I did not mention ATMACA or TEMREM or any kind of indigenous missile system as this article focuses only in shipbuilding and modernization programmes. Soem of these missile systems have long way before they will be installed on naval platforms. Yes, I am aware of the Ocean but this is highly doubtful. The same stands for a nuclear-powered aircraft carrier, at least till 2030 which is this article about.